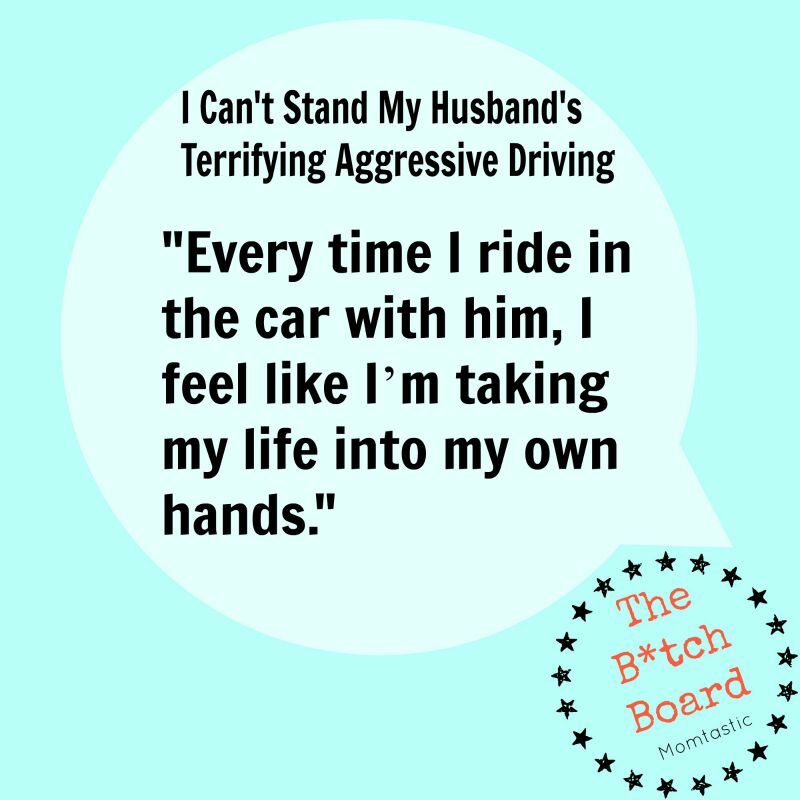 See, my husband isn’t a terrible driver, but he is an aggressive one. When other cars are slowing down, he’s still speeding up only to slam on the breaks when he gets within screeching distance of the car in front of us. He doesn’t get in accidents, but he gets close a lot. That may work for him when the kids and I aren’t in the car. 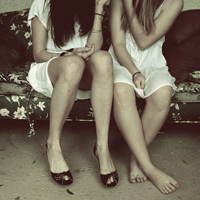 But sitting there, I can’t help but feel terrified for our lives. All because he got too close to the car in front of us. I’ve tried various techniques to help myself cope with my husband’s scary driving. First, I’ve tried acceptance. He never actually gets into an accident, I’ve told myself. Clearly it’s my problem. When he drives I feel out of control. So I close my eyes while he drives, hoping that if I don’t see how close we are to other cars I won’t wince and beg him to slow down. Next, I’ve tried talking to him about it. I’ve told him that he makes me incredibly nervous when he tails other cars and that his freeway driving makes me feel like I’ve just been pushed out of an airplane without a parachute. But these conversations always lead to a fight; my husband feels criticized and defensive and I feel like I’ve got no choice but to put up with it. Now I just try to…deal. I practice yoga breathing or try to distract myself. It rarely works, but at least we don’t get into a fight. But, I just don’t have it in me to go on a road trip that will involve five hours of windy roads and crowded freeways filled with summer travelers. So as much as my husband wants an adventure, I don’t want the stress. Either I’m driving, or we’re flying. Otherwise, I’m staying home. It may not be as fun, but it sure beats feeling like I’m constantly going to become one with whatever car is in front of us.